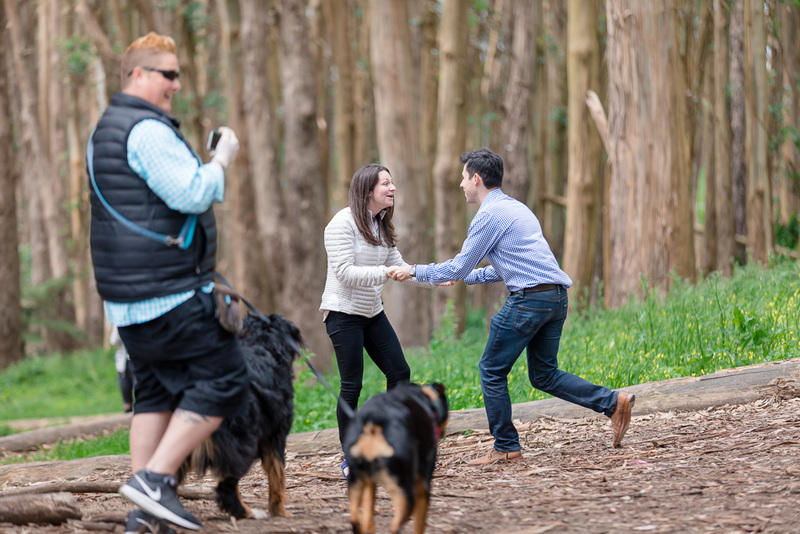 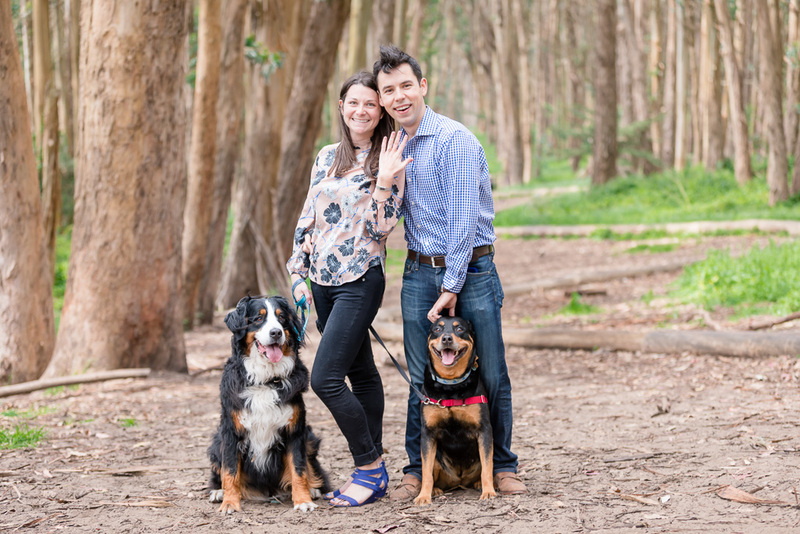 When Matt told me about his proposal plan involving two dogs, I knew this was going to be a challenging shoot, but this combination of dogs and a proposal, two of my favorite things, is pretty much off-the-charts awesome. 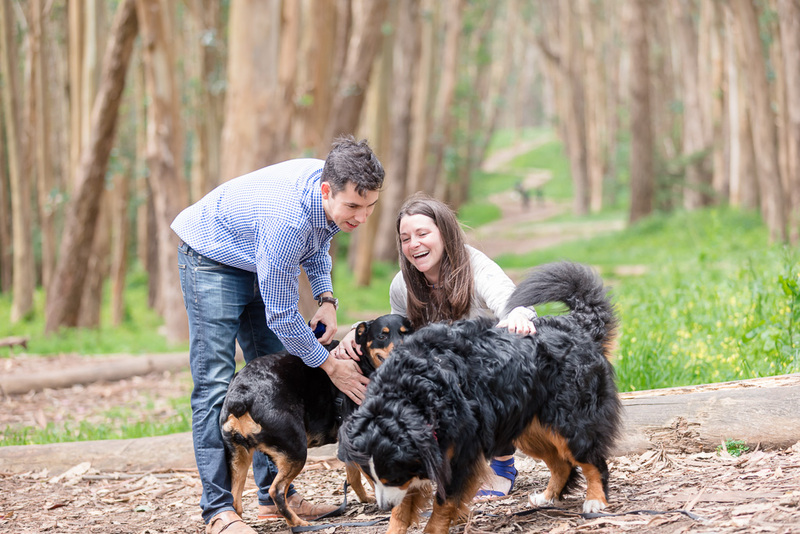 I was as excited then to meet them and their pups as I am now to share these photos! 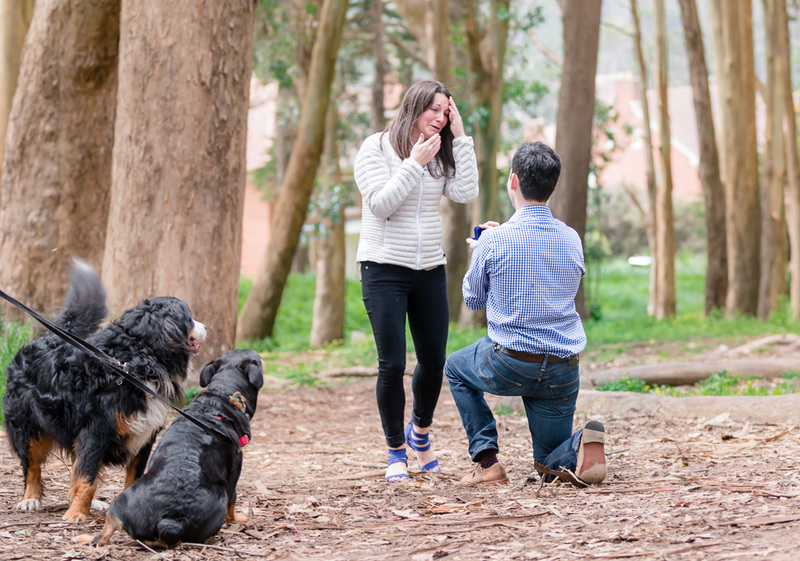 I can hardly believe how swimmingly smoothly this went. 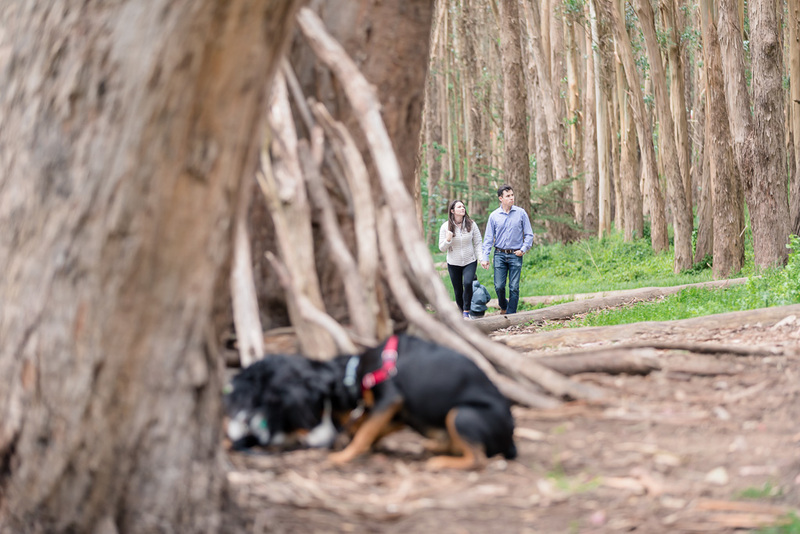 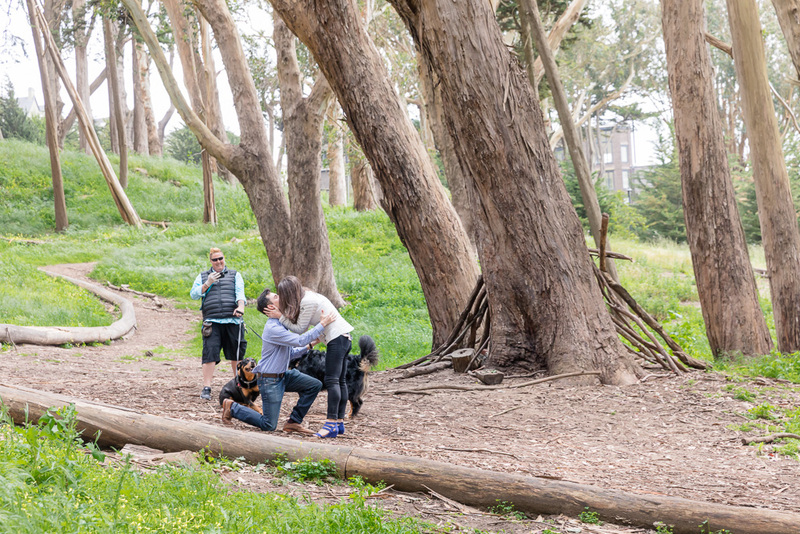 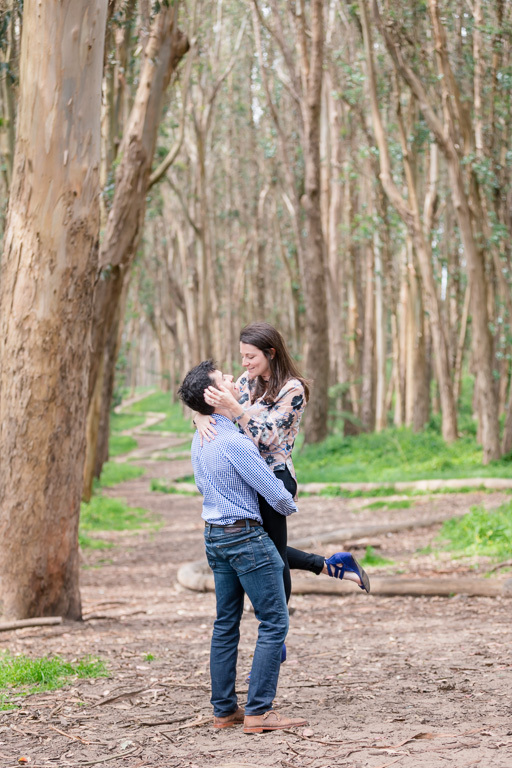 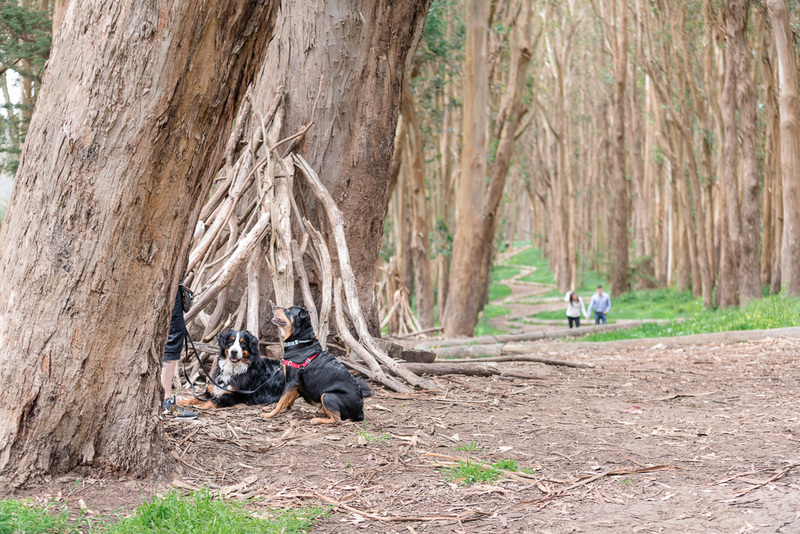 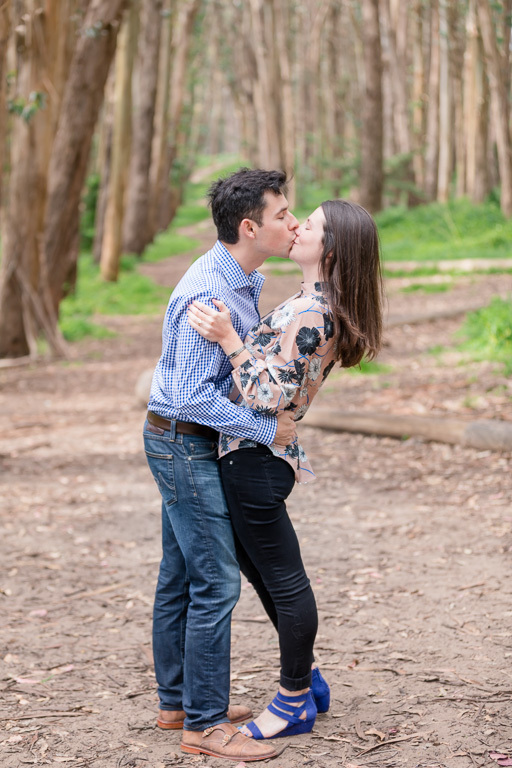 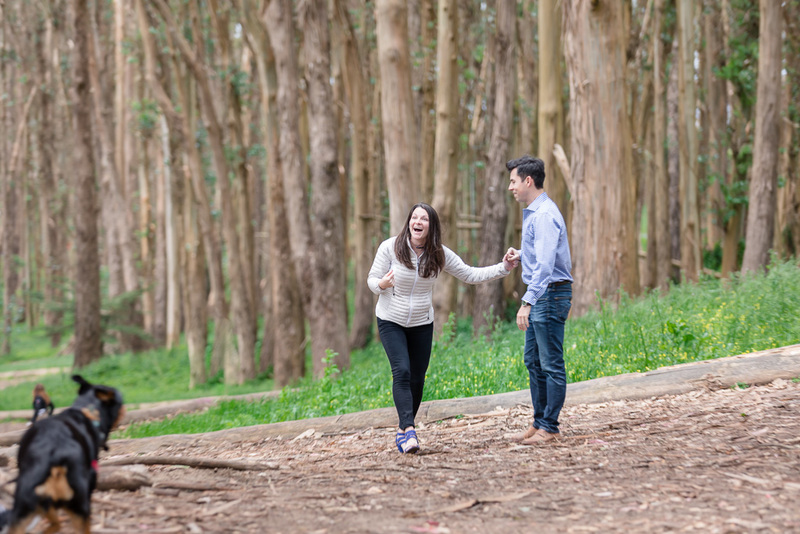 After a lunch in the Presidio, Matt & Jessica took a walk over to Andy Goldsworthy’s Wood Line (right next to Lovers’ Lane… and so much more picturesque, if you ask me). 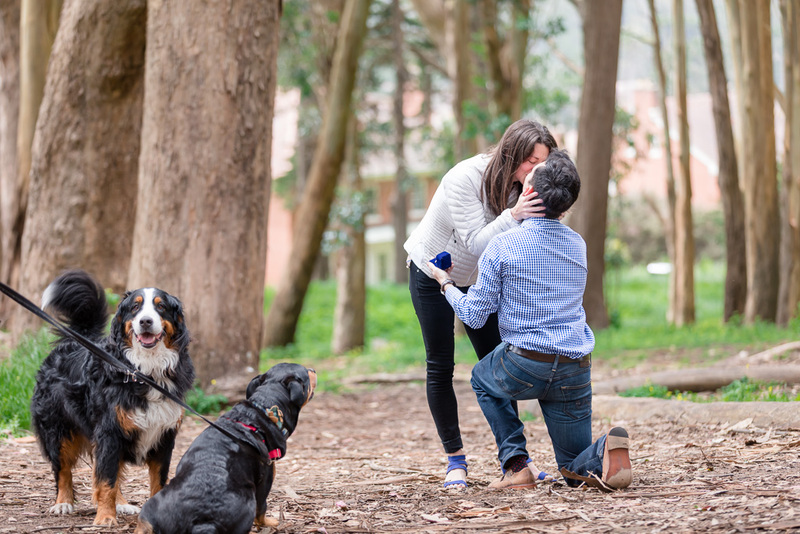 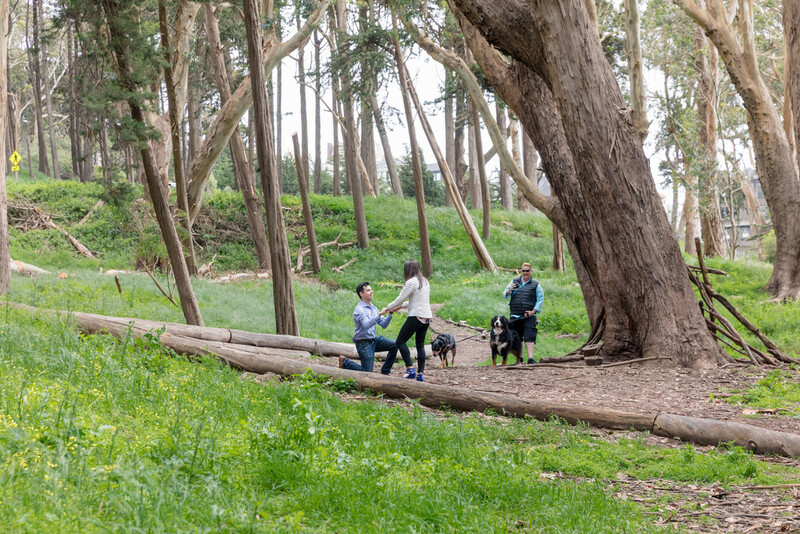 It’s a quick stroll from one end to the other, just a few minutes, and when they got to the other end, the surprise was revealed to Jessica: with the help of their dog walker, their adorable Rottweiler and Bernese Mountain Dog were waiting behind a big tree to very excitedly say hi — and watch their parents get engaged! 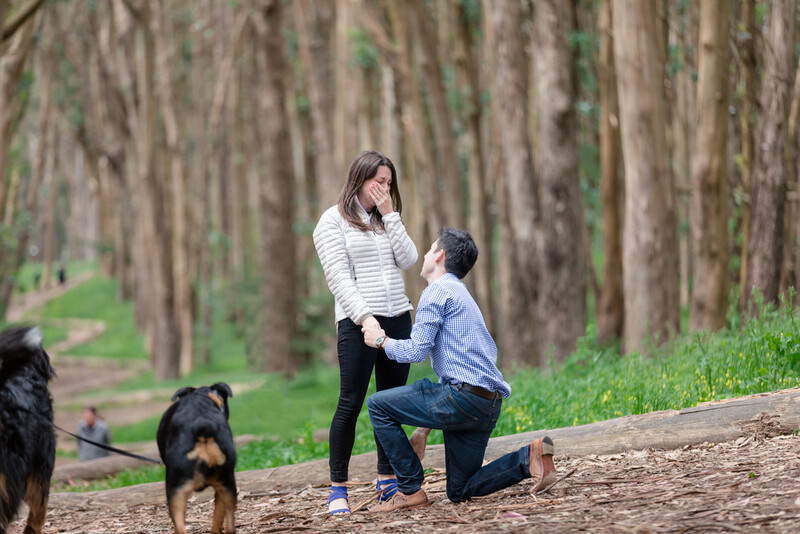 Take a look at this great surprise proposal story, and a photo of the happy family, in these photos below!